I love my mornings. When my alarm goes off, I fly out of bed regardless of how much baby boy was up that night. 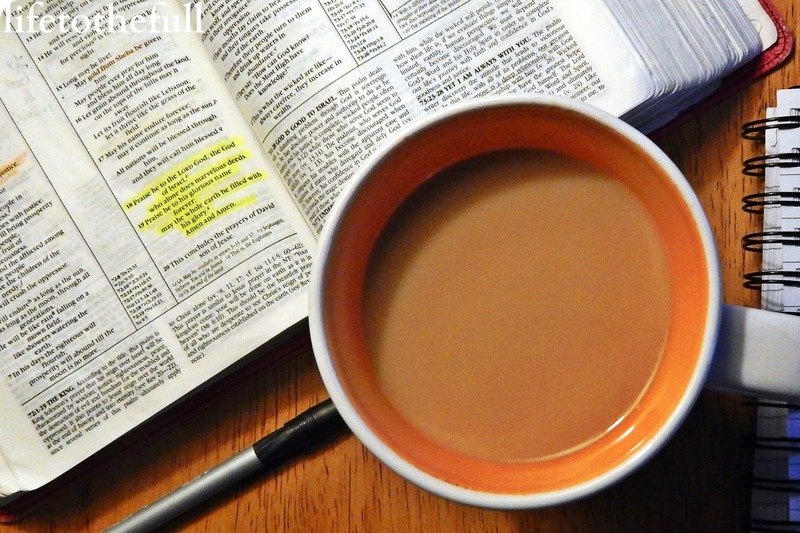 Grab my coffee, open up my Bible and spend some time with God. Lately the toddler has been up at 6:00 am to join me for my quiet time. Which means my quiet time is no longer quiet! I have mixed feelings on that. So mornings are my favorite. But after lunch, my body realizes how tired it really is. 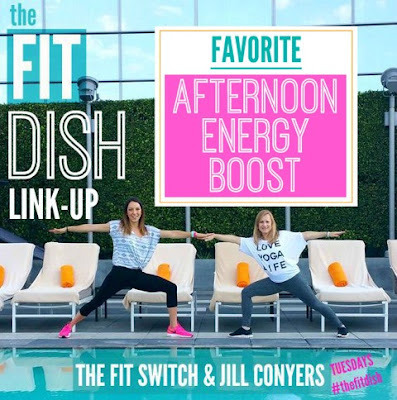 This week I'm joining up with the Fit Dish crew's [optional] topic to share our favorite afternoon energy boost. Eating sweet treats after lunch is a temptation, especially when you're running low on sleep. Problem is, the sugar high will eventually crash and leave you worse off than you were before! My favorite afternoon energy boost is to GET MOVING. If I didn't workout early that morning, I exercise during the toddler's nap time. Baby W is (usually) content to nap in his swing so I do my best to juggle his needs with a quick endorphin-blasting workout. On those desperately tired days, I take a 20- to 30-MINUTE POWER NAP with the baby. It's hard to shut off my mind enough to nap but I feel like a million bucks even after 20 minutes! Today's afternoon workout was 3.5 miles on the treadmill at base pace (8:35/mile). During the peak of sugar beet harvest, my running options are either the treadmill or the double jogging stroller. On a rainy and windy day like today, the treadmill sounded mighty fine to me. I am SO thankful for that treadmill! Since last weekend's half marathon, I'm in that awkward "not-training-for-a-race-so-now-what-do-I-do" phase. Currently I'm figuring out my exercise goals for the next couple months. Having a goal in mind is really important to me. It gives me the motivation to make time for exercise. I'm thinking speed-work and strength training are going to be my focus. My goal is to get comfortable with the 7:00-7:30/mile pace for upcoming races. On the topic of upcoming races... I'm running a full marathon in May 2016! This will be my 7th full marathon but my first as a mom of two. I'm looking forward to racing my favorite distance again, especially after trying my hand at the half marathon over the past year and a half! Training for the full again will be quite an adventure. It always is! How do you break through the afternoon energy crash? Have you experienced the "not-training-for-a-race-so-now-what-do-I-do" phase? 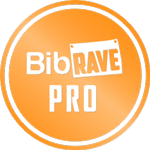 Have fun training for your upcoming marathon! Training in the cooler part of the year would be a plus! Your power nap sounds like a great idea! My daughter (also with a little one) would love it if she could pull that off! I agree, that's an awkward workout time...when you're not really training for a race. I usually use the time to have some fun at the gym and not stress out so much about how many miles I get in per week. That's a great (fast!) pace you are going for! Happy training Amy! Yes! That's what I'm focusing on in this training downtime. Have some fun and get in some extra rest! I love my nice quiet mornings too.... it is the best time! 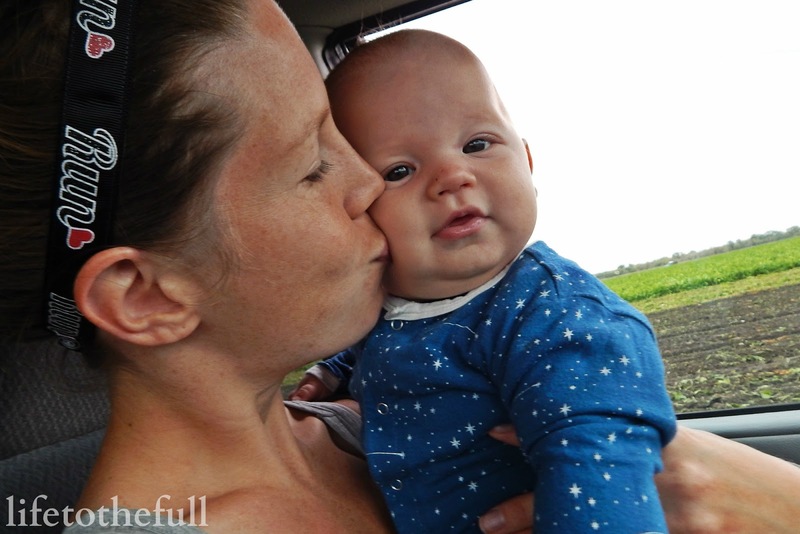 You have a beautiful busy family! Keep moving and drink water! Cheers to your marathon training! Thanks, MB! I need to remember to drink more water... I usually remember to right before bed :s Woops! Ah yes, coffee is my favorite! Even a good dark roast decaf would work well in the afternoon for me. Very true, Cayanne! My brain thinks it needs more coffee but often a more water is SO much better!